Set in 50 acres of fine parkland the castle is surrounded by mature trees, extensive lawns and gardens. The sea and mountains are only a few miles away. There’s something incredibly romantic and perhaps even somewhat magical about hosting your wedding in a castle and we here at Darver Castle go to incredible lengths to make your day unique and personal. With our beautiful grounds and natural charm we guarantee you’ll have a memorable and unique wedding. 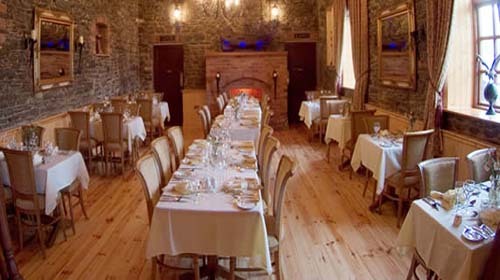 Darver Castle is a unique and romantic location for your wedding celebration. The Castle is rented on an exclusive basis at weekends. The Castle accommodates 18 guests. The Banquet hall can cater up to 300 guests for dinner and a further 100 guests for the evening reception. The Grain Store Restaurant can cater up to 40 guests for dinner. Darver Castle management will look after all your catering and beverage needs on the day of your wedding. Only one wedding per day is catered for at the castle, this ensures total privacy with quality service combining to make your day memorable for both you and your guests. Ideal are for receptions on arrival, enjoy summer drinks or winter punches in an ideal setting. Let your guests relax and unwind to either lively musicians or just savor the atmosphere in a majical setting. 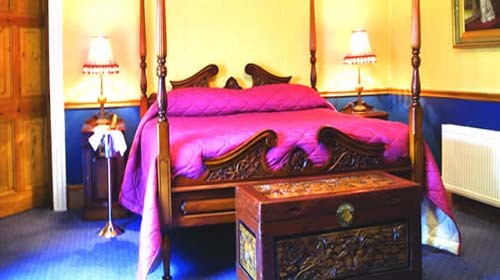 With the castle’s fine towers, high ceilings and tastefully decorated rooms, the castle is complimented by interesting antique furniture, four poster beds, saunas and Jacuzzis. Darver Castle dates back to the 15th Century. It has been refurbished by the Carville family into a haven of luxury and tranquility. 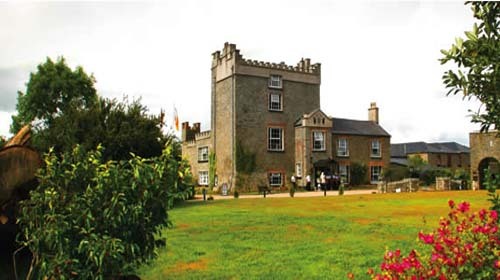 Darver Castle is less than 45 minutes from Dublin and is situated on 50 acres of fine parkland in the rolling countryside of County Louth, a short distance from Dundalk and Ardee. Blending old world elegance with modern day comforts. 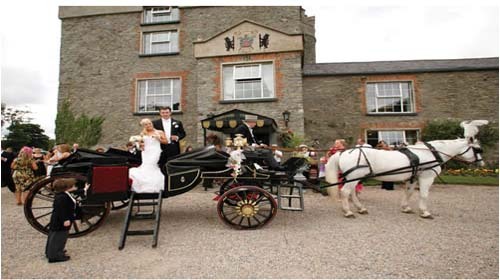 Darver Castle is one of the most sought after wedding venues. A whole hearted warm welcome awaits your arrival. The peace and tranquility is mirrored by the friendly courtesy of the Carville family and all the staff. With a wide range of menus available all tastes and budgets are catered for. Our experienced staff work closely with our guests to ensure your wedding day is perfect. From Newry - Take the Dundalk South Exit off the M1 motorway. Take the third exit off the roundabout signposted for N52 Ardee/Mullingar. Approx. 5 miles on the N52 road take the left signposted for Darver Castle. From Dublin - Take the Dundalk South Exit off the M1 motorway. Take the first exit off the roundabout signposted for N52 Ardee/Mullingar. Approx. 5 miles on the N52 road take the left signposted for Darver Castle.